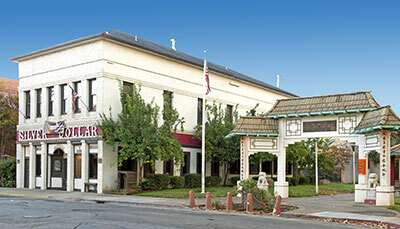 Two plaques are mounted on the façade of the Silver Dollar Saloon, one for New Mecklenberg and one for Lord Sholto Douglas. 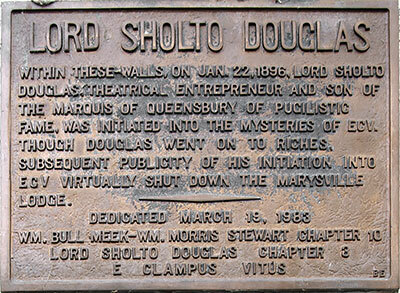 Within these walls, on Jan. 22, 1896, Lord Sholto Douglas, theatrical entrepreneur, and son of the Marquis of Queensbury of pugilistic fame, was initiated into the mysteries of ECV. Though Douglas went on to riches, subsequent publicity of his initiation into ECV virtually shut down the Marysville Lodge.